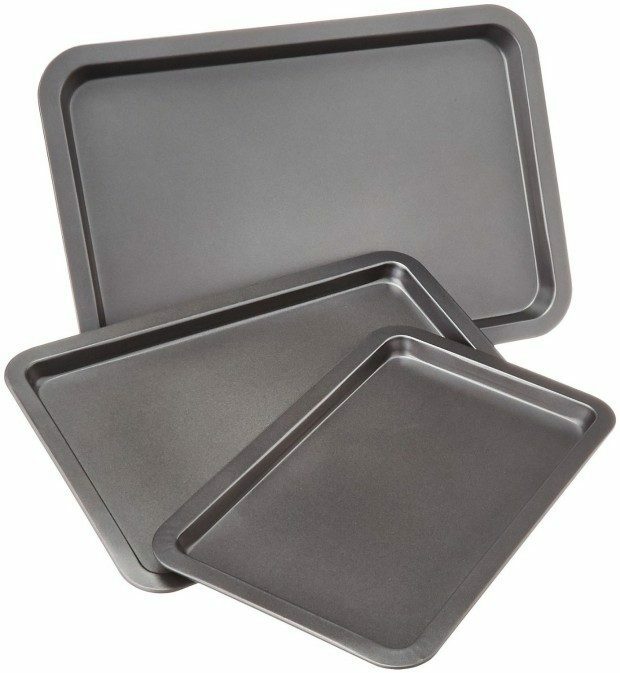 AmazonBasics 3-Piece Baking Sheet Set Only $12.79! You are here: Home / Great Deals / Amazon Deals / AmazonBasics 3-Piece Baking Sheet Set Only $12.79! Head over to Amazon to pickup the AmazonBasics 3-Piece Baking Sheet Set Only $12.79!